Well, hot yoga just so happens to be just like that car experience. Hot...warm...and you really REALLY feel like escaping the entire time. 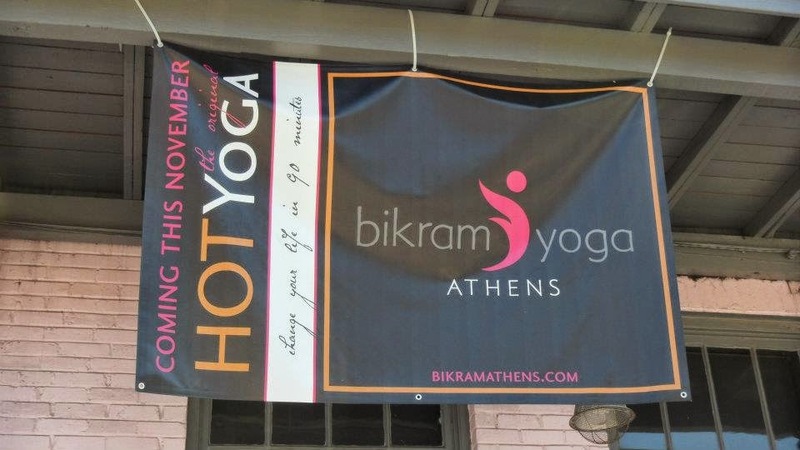 I tried my first hot yoga class yesterday with my good friend- Ellie- that I met my freshman year at Georgia. And I'm not going to lie...it was one of the hardest things I've ever done in my life! The first ten minutes was full of breathing and stretching and literal "warming up." I had NEVER sweat so much so fast. And only ten minutes had passed in that 110 degree room! I still had 80 MORE minutes to go! I had heard to drink lots and lots of water on hot yoga days. So I prepared myself throughout the day by sipping iced water with every meal before the class began. I also brought lots and lots of water with me. Upon arriving, since it was our first class, we were told to "take it easy" and to just rest if we needed to throughout the 26 different yoga poses. We were also told that if we felt like leaving, that just resting and staying in the 110 degree room would better our bodies and be good for us. Here is where the mixed feelings part comes in: I HATED IT AND I LOVED IT. Throughout the class, I really thought I was going to die. I really did. While all the yogis and pros were doing poses the entire 90 minutes, I laid on my back on the floor praying that I could just make it through the class. (this is an actual yoga pose called "savasana." I took FULL advantage of that pose throughout the class.) It was HOT y'all. REAL HOT. The instructor kept saying, "You are going to feel fantastic after this class and want to keep coming back for more afterwards!" I thought she was crazy. For real y'all. 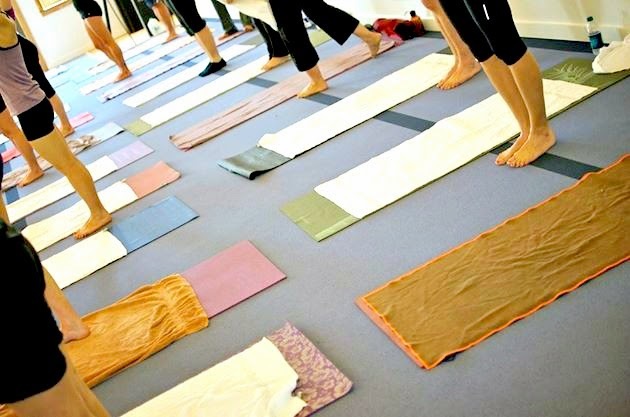 In the moment, I felt like there was NO way I'd EVER go back to another hot yoga class. But THEN I stepped out of that class after it was over...and felt SO great. I had SO much energy. I felt SO present. My mind was SO clear. I couldn't believe it. I got so much done after that hot yoga class because my mind was so clear and I really did feel like a flexible yoga noodle too! I felt relaxed and calm and energetic. It was great. Although I might not do it again, it was a good first-time experience and I loved trying out the class. The studio was amazing! And so were all of the encouraging and knowledgeable employees. It was an experience, that's for sure! 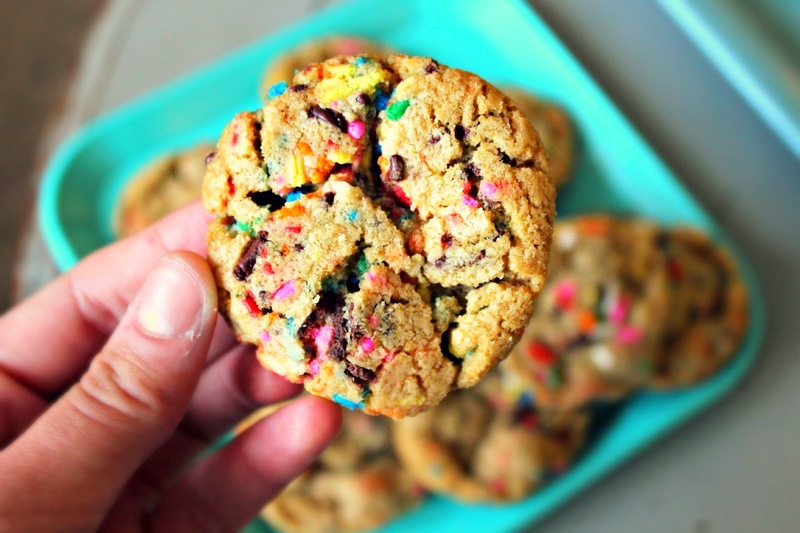 And of course...I promised you a side of cookies in the blog title, didn't I?! I had to make cookies after class Sunday afternoon. 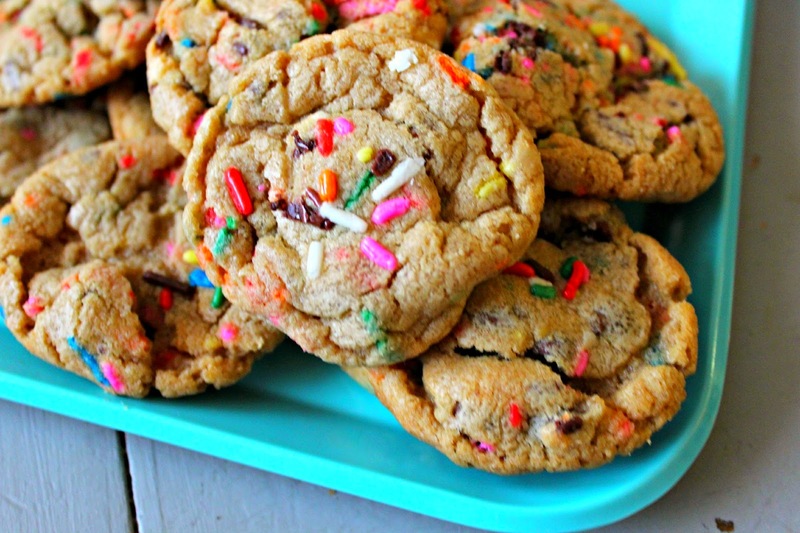 Sally's Cake Batter Chocolate Chip cookies are my FAVORITE in the world. And I made lots and lots of them for a CRU leadership cookout Sunday afternoon. These are my favorite, favorite cookies EVER. And you should bake some up ASAP. I promise you...they will make your week! I hope your Monday has been fantastic! 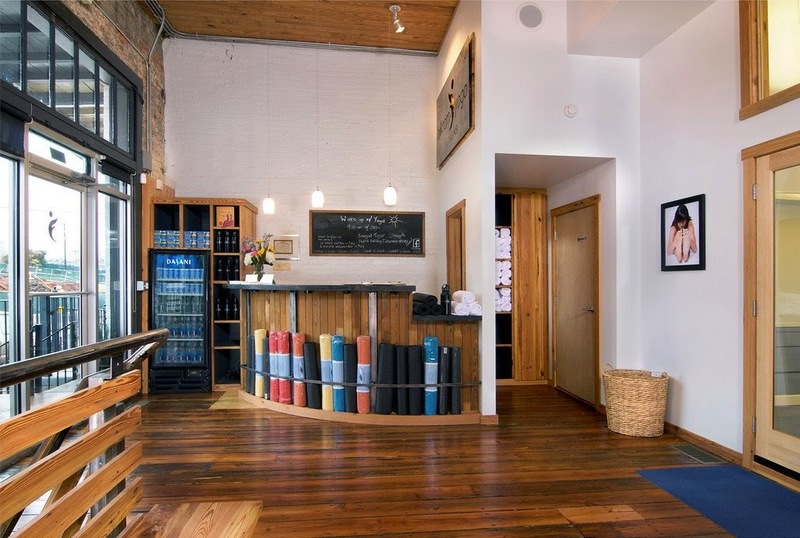 I think I would pass out from the heat if I ever took a hot yoga class! I don't handle extremes very well (too hot, I'm dying and I'm a total brat when I'm cold haha). On another note, those cookies look AMAZING! they are the best! you have to try Sally's recipe for them! they were a special treat after that class! i don't think i could do it! haha i hate being hot, so i would probablly pass out! haha those cookies look delish though! definitely have to make those soon! it was TOUGH, but thank goodness for cookies with extra sprinkles and chocolate chips afterwards! This cracks me up!!! I can totally picture this and want to take an Athens break soon for a heat stroke and 'savasana'! Oh...and yummy cookies too!